Author and game designer Robin D. Laws joins the show this week as we investigate an episode of Star Trek: The Original Series that's a little bit noir, a little bit Shakespeare, and 100% SPACE MYSTERY! 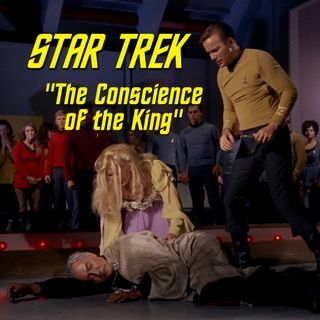 When Kirk meets an actor that he suspects is Kodos the Executioner, he invites the former governor and his troupe aboard. But when the bodies begin piling up like ... See More Act V of Hamlet, he'll have to confront his past connection to the massacre on Tarsus IV and an unexpected assassin!